Long weekends in Edinburgh, or in fact anywhere in Scotland, have recently become my regular guilty pleasure. 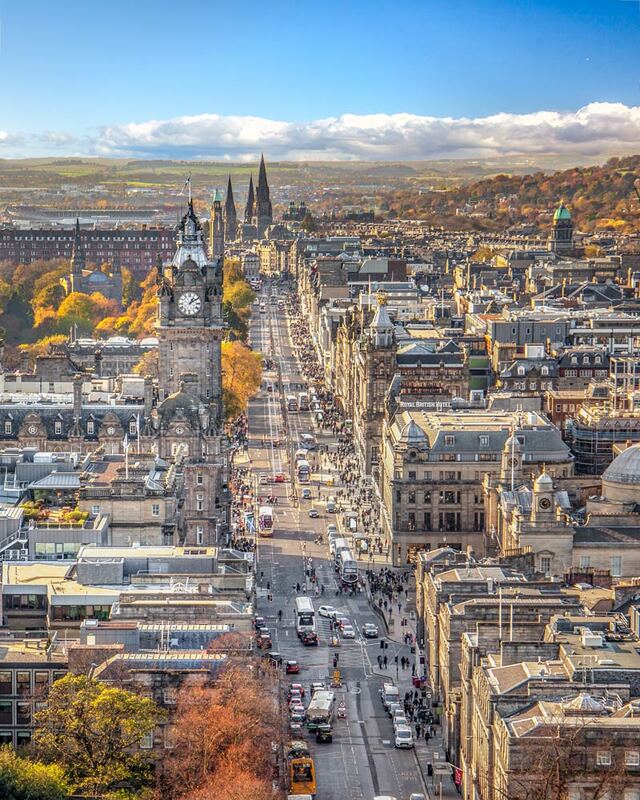 From the historic architecture set against the backdrop of lush green mountains to the friendly locals and easy-to-walk city centre, there are plenty of reasons to enjoy a weekend in Edinburgh, the capital of Scotland. But there is still one part of this country that is often misunderstood: its food scene. With haggis, whisky, deep-fried anything and bright orange sodas likely being the go-to menu when you think of Scotland, to any first time visitors I have to say this; you’ve got it all wrong. Edinburgh has been transforming itself into a culinary capital for years now and with numerous independent restaurants, new coffee houses that can rival even the biggest caffeinated city hubs, and a population who love dining out and socialising, a foodie weekend in Edinburgh of indulgent treats and fresh seasonal produce has never been better. Teaming up with #UncoverEdinburgh, I set off to discover how many top eats and awesome attractions I could fit into my two days in Edinburgh. 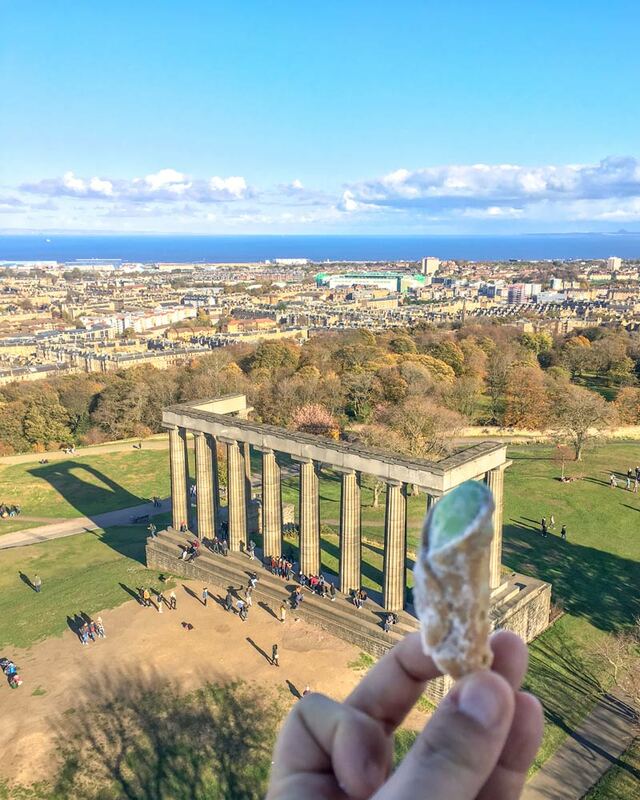 After plenty of research (read: consuming) I present your ready-made, tried and tested, 48 hours in Edinburgh guide to eating your way through some of the tastiest, most Instagram-able snacks and heavenly restaurants on offer. All mapped out to maximise your time and take you on a tour of Edinburgh’s best attractions, and its hidden gems. Enjoy! Kick start your morning with one of the great British obsessions; tea. 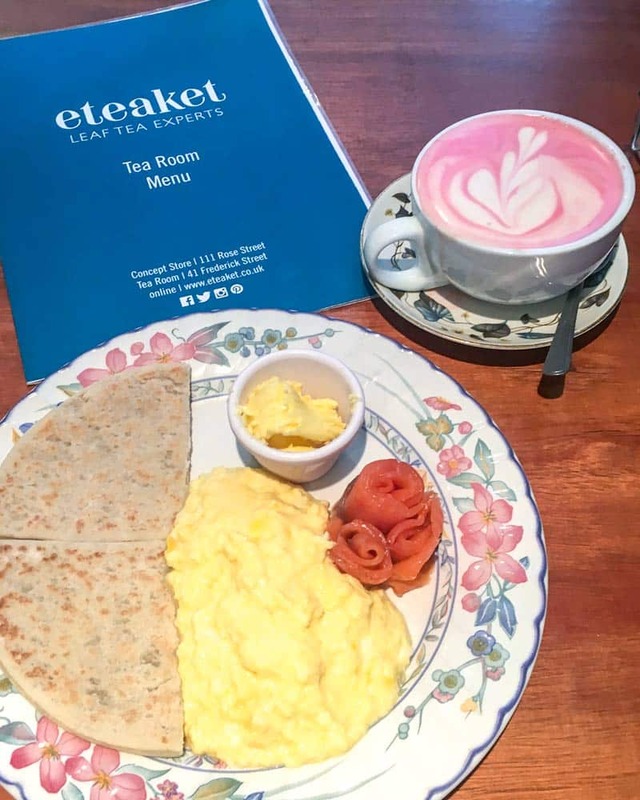 With many offerings available, from traditional black breakfast tea through to bespoke gin infused leaves from the Isle of Mull, the tea range at Eteaket cafe could keep you sampling all day. Just nearby you’ll also find the Eteaket concept store where you can sample cold brews, and see tea being prepared and boiled at the perfect temperatures. Located just a short stroll from Eteaket is Princes Street Gardens, a must visit on a weekend in Edinburgh. The long and thin gardens right in the heart of the city provide amazing views of Edinburgh Castle upon its rock and are a perfect photo spot in any season. At one end of the gardens, you’ll find St Johns Church, open to visitors outside of service times and boasting a unique and very photogenic ceiling, with photos allowed for a donation. A walk through the gardens pass by colourful flower beds, fantastic fountains and those epic castle views, eventually taking you to the Scott Monument, well worth a climb to admire the city from above. The Scott Monument, a Victorian gothic tower which is dedicated to the writer Sir Walter Scott, has a narrow staircase curving around its interior which takes you a to a platform overlooking both the city and as far as the ocean, though tomorrow with more viewpoints on offer you may want to skip one of them. Perhaps the most famous street and attraction in Edinburgh is the Royal Mile which ends at the esplanade of the Edinburgh Castle. You can’t skip this route on your foodie weekend in Edinburgh. Along the Royal Mile, you’ll find tartan shops, bagpipes being played, and some of the top attractions in Edinburgh. 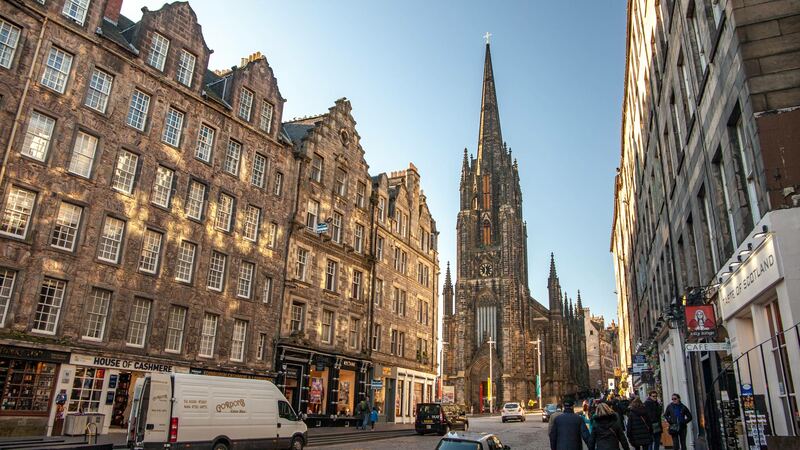 With just a weekend in Edinburgh, you likely won’t have time to see them all, but a Mercat walking tour takes you back in time while the Scotch Whisky Experience is perfect for some learning before a tipple. The impressive interiors of St Giles Cathedral might pique your interests while others may prefer the weird and wacky Camera Obscura, World of Illusions. Either way, eventually you’ll wind up at the city’s star attraction, Edinburgh Castle. 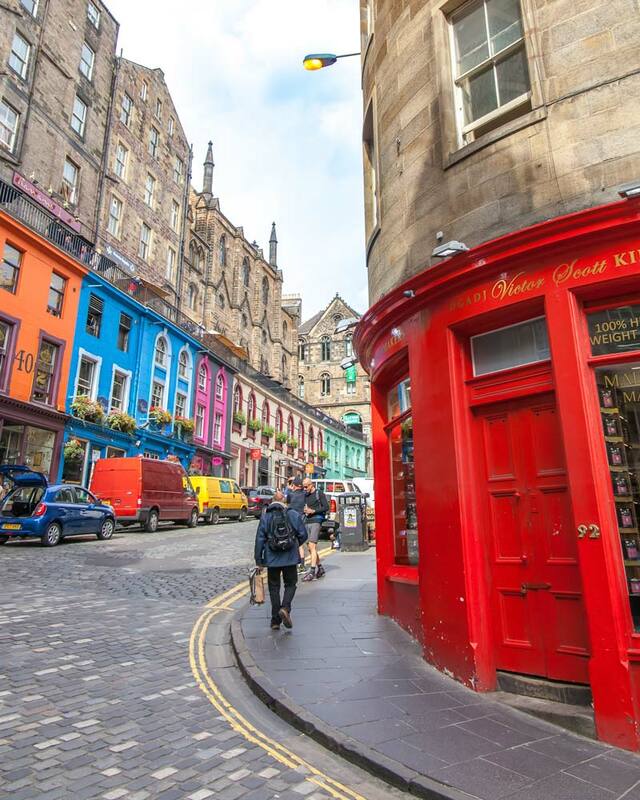 The colourful facades of Victoria Street, one of the most Instagram friendly roads in Edinburgh, play home to Harry Potter-themed stores and independent boutiques. Here is also where our foodie weekend in Edinburgh continues, all in the name of cheese. 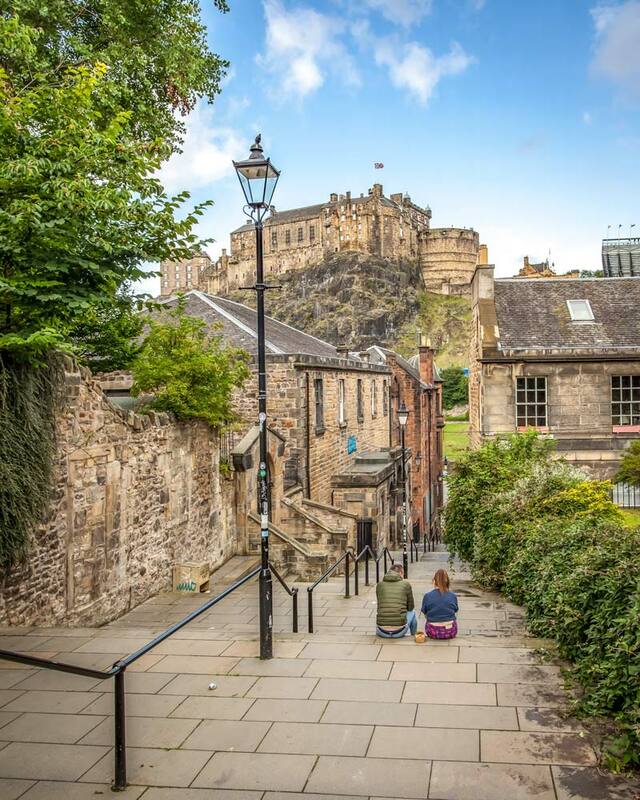 At the bottom of Victoria Street, you’ll find the Grassmarket, a square of pubs and outside seating that boasts some more epic views of Edinburgh Castle. Here you’ll also find some more dairy based goodness at the ultimate treat, Mary’s Milk Bar. 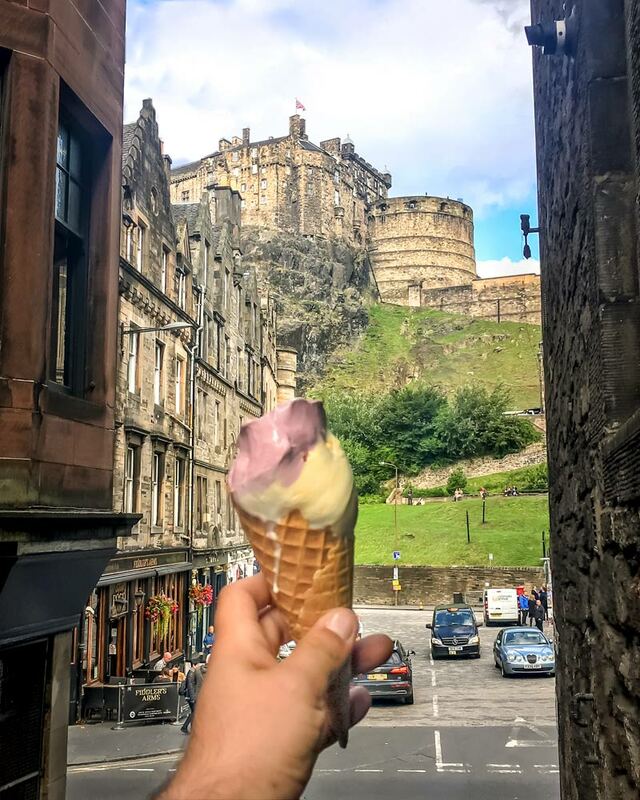 If you have a sweet tooth and an addiction to Ice Cream like me, you might try to fit in more than one visit here on your foodie weekend in Edinburgh. Go all out with two or three scoops of the creative flavours, with anything salted caramel always getting my vote, before sliding out of the packed shop to enjoy your frozen goodness to one of the best views in the city. If you’re anything like me, you’ll need a coffee pick up after a sweet treat so taking the short walk to Brew Lab is the way to do it. Moments from Brew Lab is the National Museum of Scotland which is free to enter. Packing a punch with exhibits covering a wide range of focuses, the building itself which is often compared to a matchstick stack, is well worth visiting even if you don’t plan on exploring the exhibits. 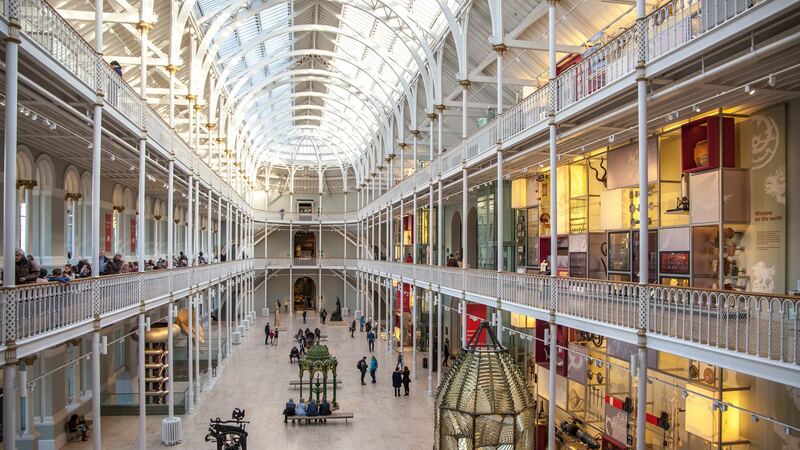 A bit of an Instagrammers’ hub in Edinburgh, the tall white beams that surround the Grand Gallery provide some serious symmetry goals while the diverse programme on offer is suitable for any ages. Well, given this is a foodie walking tour of Edinburgh, it’s time for some more snacks I’d say! 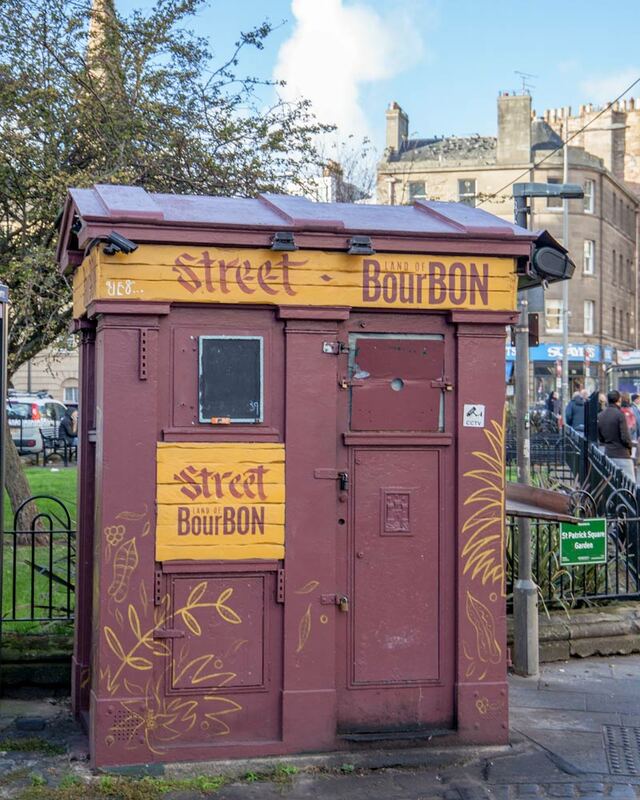 The police boxes around Edinburgh are numerous, and many have been lovingly converted into a hole in the wall style coffee shops or serving up brilliant cuisine. Land of Bourbon is one of these, and it focuses exclusively on vegan food, and seriously good vegan food! While whisky might be the first spirit that comes to mind when you think of Scotland, boutique gin has been earning its moment on the stage here in Edinburgh. 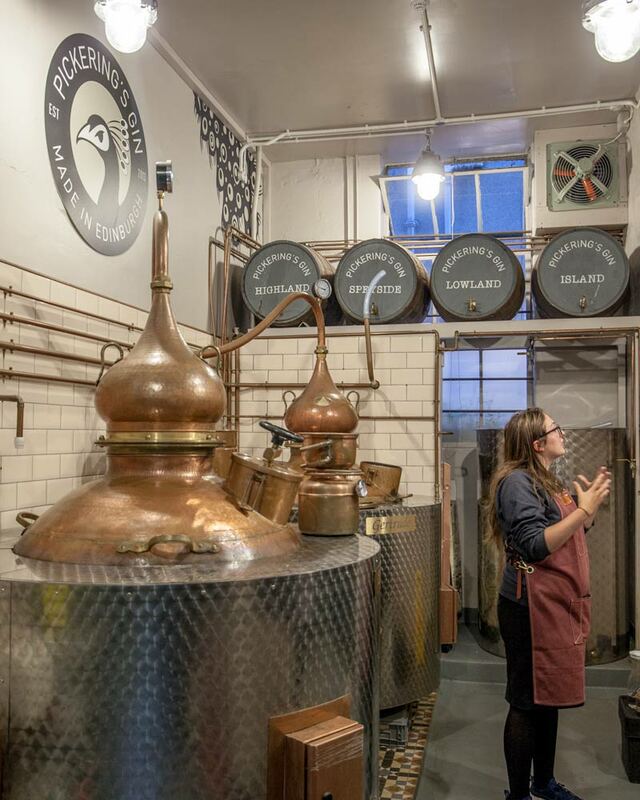 Get yourself booked onto the last Gin Tasting and Tour of the day at Pickering’s Gin in Summerhall, a cool space that has been converted into an art hub over the years with the distillery itself initially being a vets’ surgery. Check in just before the tour starts to enjoy a gin and tonic before being taken on a tour of the small distillery. 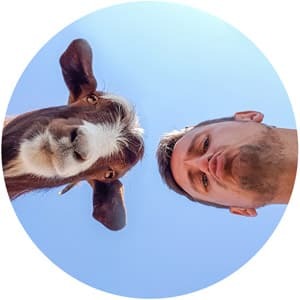 Set up by two good friends who had no experience in the industry, Matt and Marcus were actually the builders who helped renovate the space before deciding it would be perfect for gin production. With a delicious dinner treat ahead of you to round off day one of your foodie weekend in Edinburgh, it’s time to rest those feet and enjoy a wee tipple. A quick taxi or bus journey out of town will take you to one of Edinburgh’s most exciting new openings which serves up a seasonal degustation menu at a criminally affordable price. 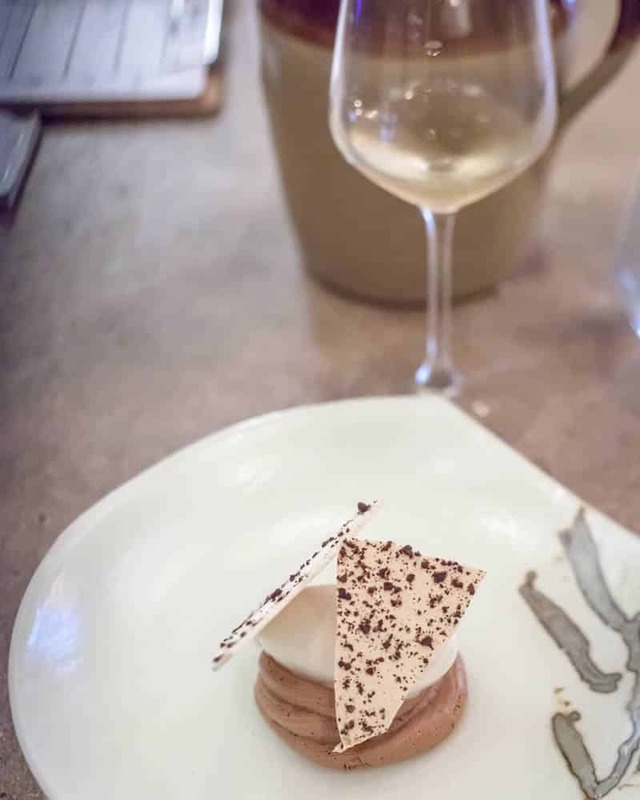 At Edinburgh Food Studio, originally just a food research hub but now additionally a restaurant open five days a week, James, the new head chef, is dazzling guests with the multi-course menu. 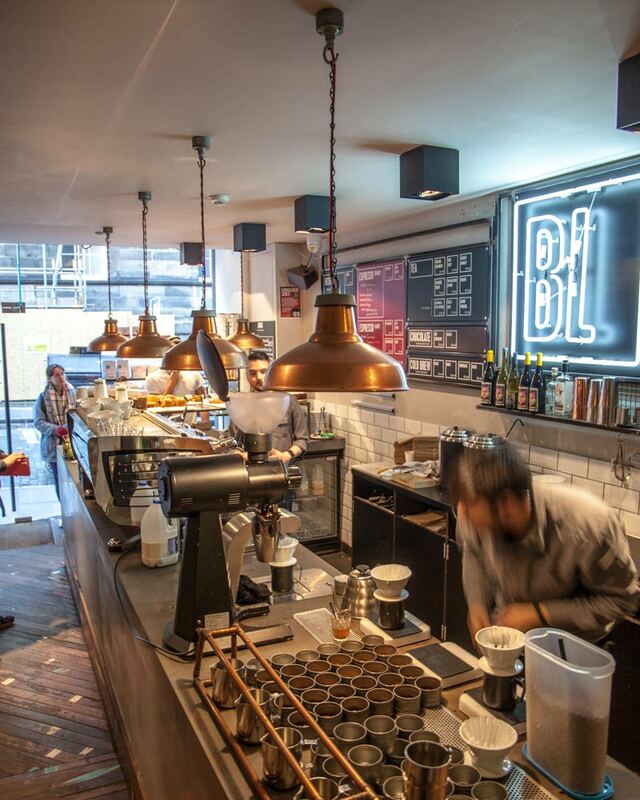 Roasting their own coffee in small batches and writing a daily menu on a whiteboard, the restaurant focuses on local, seasonal and sustainable dishes. The communal style dining, with two long tables and a few bar stools, makes for a relaxing environment to enjoy a seven-course meal for £50, with creative drinks pairings, including both beers and wines, at an additional price. From the beetroot, chicory and duck liver parfait paired with cherry beer through to mussels from the Isle of Mull and brill from the east Scottish coast, each of the courses was delicious. The friendly and welcoming team and warm menu read-through by the chef put you right at ease, and the mix of pop music and living room style dining area make this my favourite kind of place; great food and service in a non-pompous setting. It’s well worth the short journey out of the city centre to dine here. Time to walk off some of yesterday’s treats down in the super cute and camera attention-grabbing Dean Village. By far my favourite part of Edinburgh, the colourful old houses along the Water of Leith have started to become better known with visitors, so heading here early morning means you can try and grab the perfect Instagram shot sans anyone else. 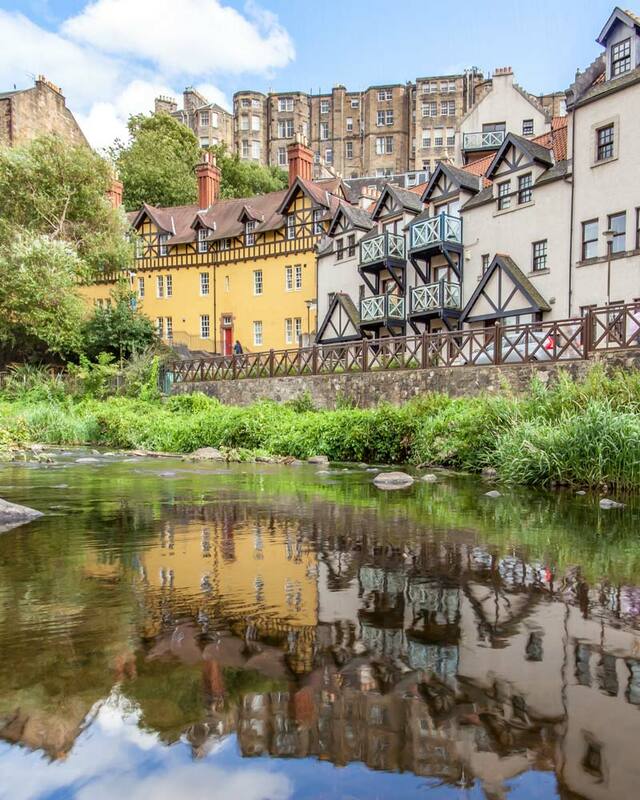 After admiring the quaint houses of Dean Village, continue along the Water of Leith for a short stroll until you get to Stockbridge, another charming part of Edinburgh and where we will get the foodie weekend in Edinburgh rolling again. 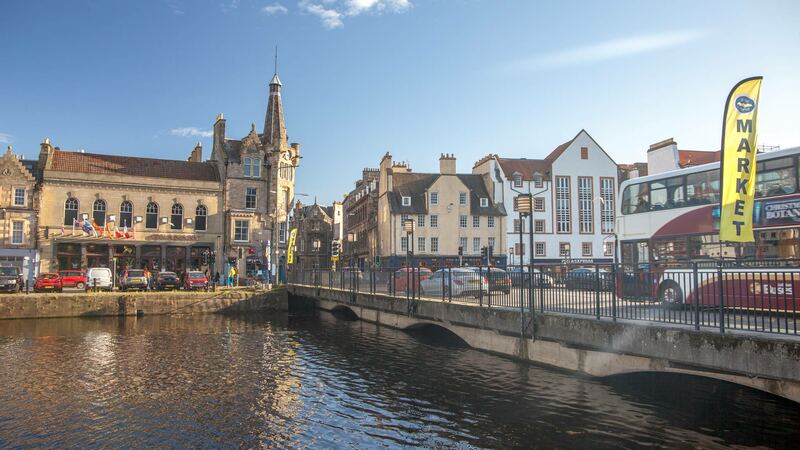 Stockbridge is packed with little independent cafes and plenty of coffee and cake. If you are visiting on a Sunday, you’ll also find Stockbridge market here which serves up foodie treats from around the world, with ethnic food from all corners represented on the Edinburgh foodie stage. 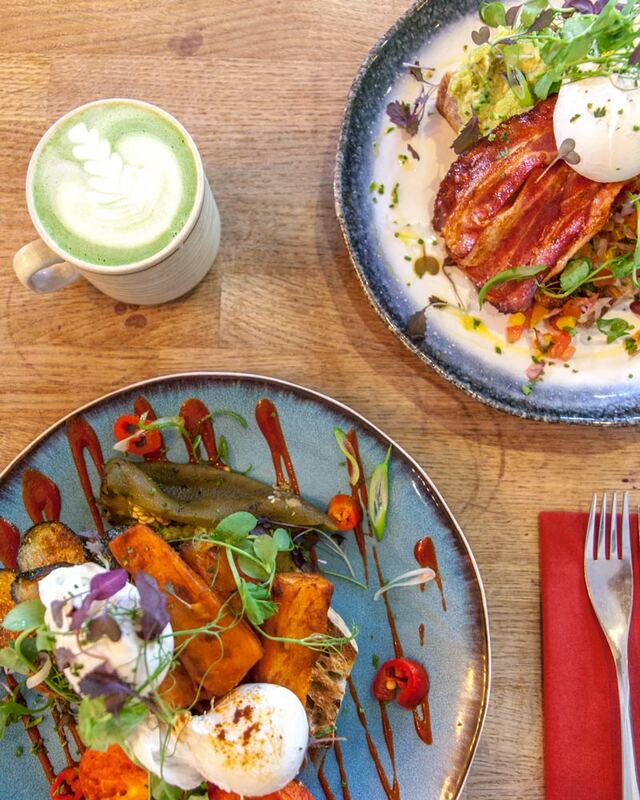 But if you’re after the typical brunch of colourful, packed plates, the famous avocado on toast, or just the perfect Matcha Latte for your Instagram feed, then The Pantry is the place to go. Serving an arrangement of brunch inspired dishes all day, the team here know how to fill you up for the day ahead in the best possible way. While the avocado toast with poached eggs and bacon is a serious staple, the colourful medley of oranges and reds in the ‘Sunshine in Stockbridge’ dish stole the show for me. Perfectly cooked tomatoes, sweet potatoes, avocado and aubergine, packed the right amount of chilli punch, and with options to top with eggs or Chorizo it a delicious dish that can be tailored from vegan up to carnivore. 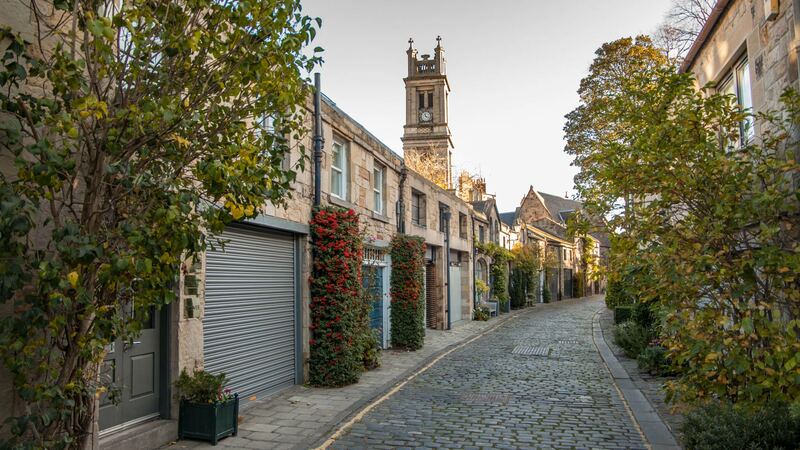 Stockbridge is a charming mix of cobbled streets and stone homes, decorated with hanging plants and colourful flowers. Nowhere is this more camera-friendly than Circus Lane, a small street that is popular with Instagrammers for its dreamy disposition. Another of the main draws near Stockbridge is the Royal Botanic Gardens Edinburgh. With both outside gardens and a collection of large glass greenhouses, the seasonal colours outside are perfectly complemented with the giant lilies and more tropical flora that lives inside. 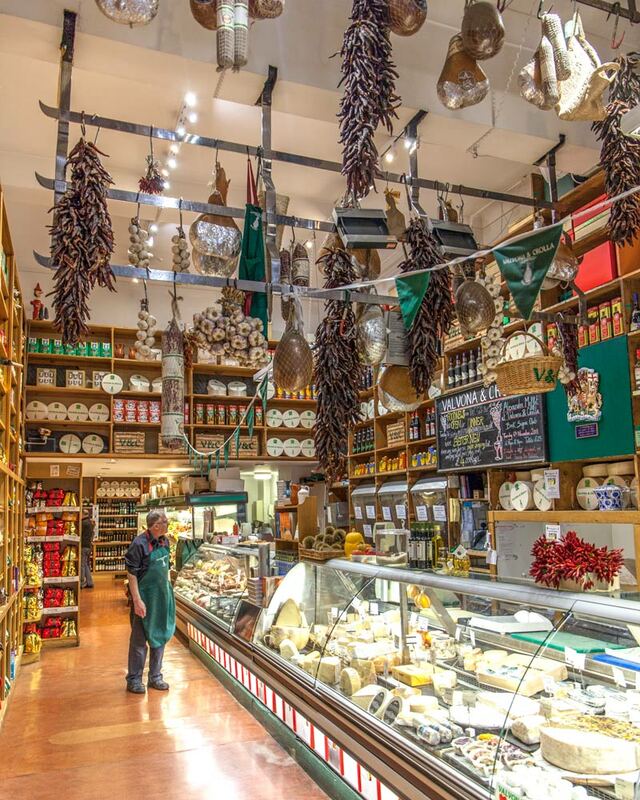 As Scotland’s oldest delicatessen, still family run, the beautiful store of Valvona and Crolla is like stepping into a Tardis. 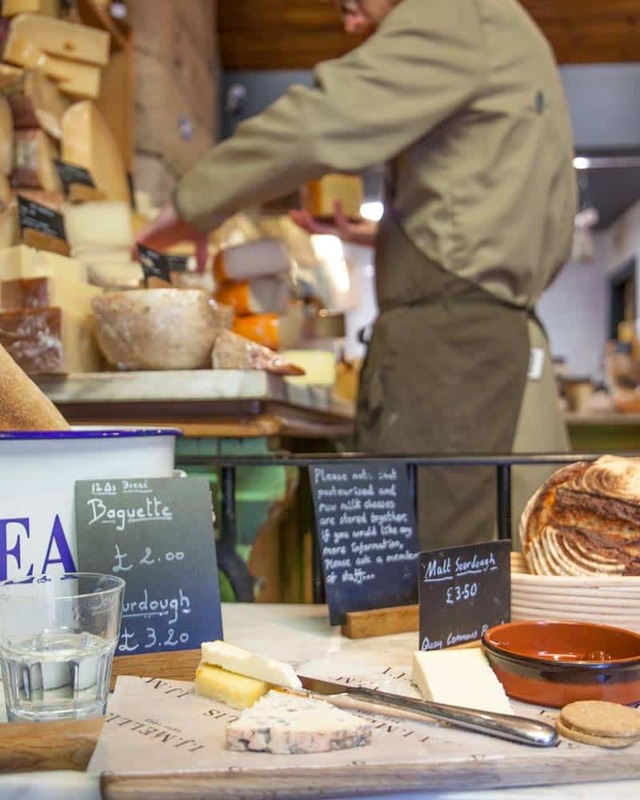 Behind the unassuming shopfront is a beautiful store packed with fresh local produce and Italian treats ranging from soft cheeses to sweet indulgences; you have everything you could need for a pimped out picnic here. Towards the back of the store is a cafe and wine selection, which given the small size from outside, only those in the know will find this place on an average foodie weekend in Edinburgh. 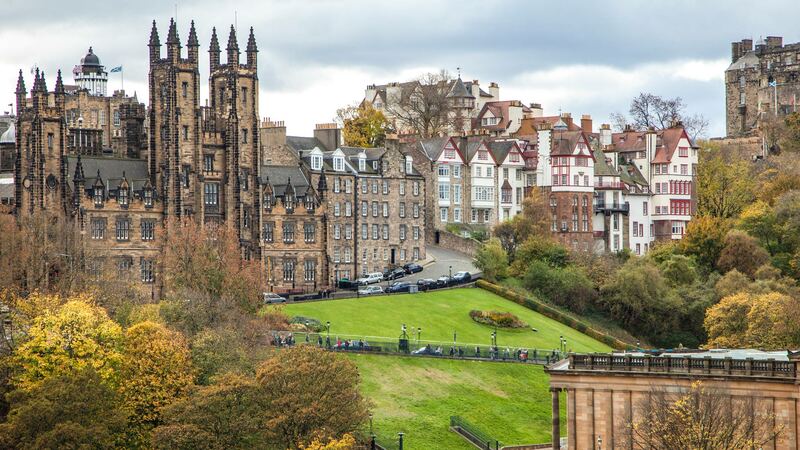 Sitting in a prime position alongside the city, Calton Hill offers incredible panoramic views across the old town, Arthur’s Seat, and out to the ocean, with Nelson Monument perhaps providing the most stunning of those views. The commemorative tower, for Admiral Nelson, is a fantastic alternative to the Scott Monument we visited yesterday and I think, with a better view. A mix of architecturally interesting buildings are on the hill, including the Athenian style acropolis and an observatory, but the best thing about the space is it’s free to enter and a perfect green lung in the city. Find a spot to settle in, unpack your treats from the deli, and enjoy a delicious lunch with the best views of the city without having to shell out to admire Edinburgh’s beauty. 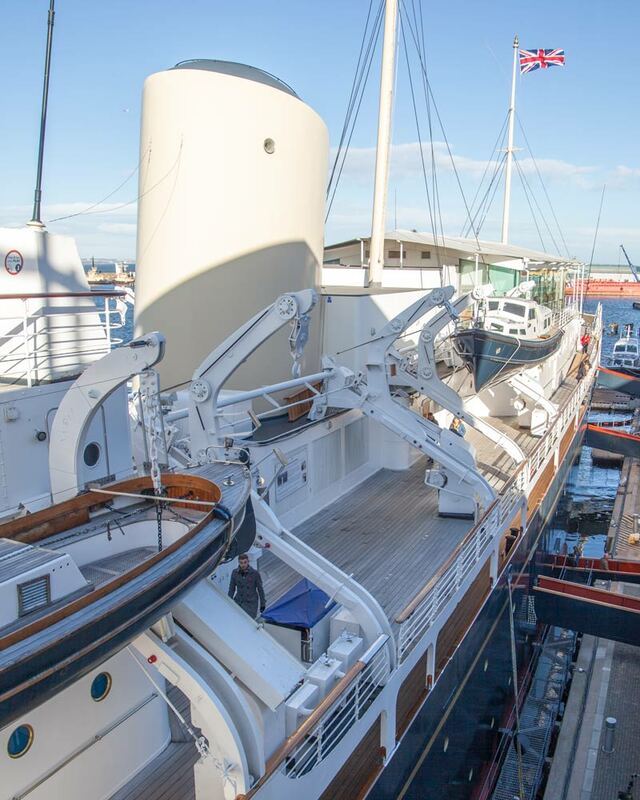 The Royal Yacht Britannia is one of Scotland’s most popular tourist attractions and our starting point to visit Leith, another slightly out of town part of the city to explore and easily accessible by bus or a stroll along Leith Walk. The former royal yacht of the Queen, a self-guided walking tour of the ship provides a fascinating insight into the life of the royal family at sea and was in service from 1954 until 1997. Not only can you see how the ship, including cabins and dining rooms, was set up while serving its royal duties, but an entertaining audio guide, photos and information displays will take you on a journey into understanding the maritime heritage of the United Kingdom. 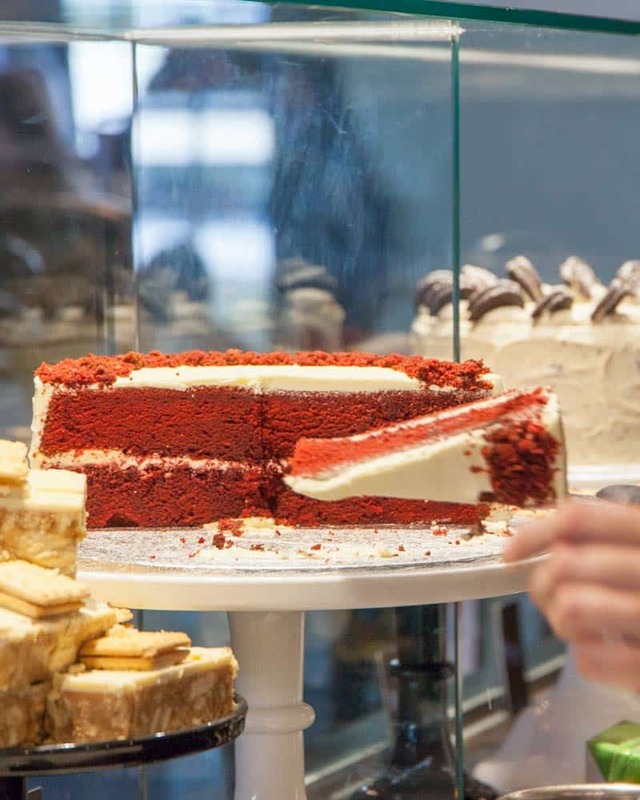 If you like cakes, and who doesn’t, a trip to Mimi’s Bakehouse is a must. I’ve made this an afternoon stop as if you want to indulge in an afternoon tea; this is precisely where you should do it. The port of Leith used to be its own town until Edinburgh expanded outwards, and the borders got blurred. From the old townhouses that reflect off the waterways through to the countless cool bars and restaurants that have sprung up here in recent years, this is an area of Edinburgh that’s well worth checking out. See a more local side to the city and with plenty of fantastic bars, on the waterways and Constitution Street, you are all set for some pre-dinner drinks. One of the most exciting new openings in Edinburgh this year, and recently listed as one of the best new foodie experiences in the world by Lonely Planet, The Fishmarket in Newhaven has quickly become a must visit for an Edinburgh foodie weekend. Newhaven is 5 minutes west along the seaside, and with some colourful houses and a church along its marina, the views stretch right across the Firth of Forth on a clear day. 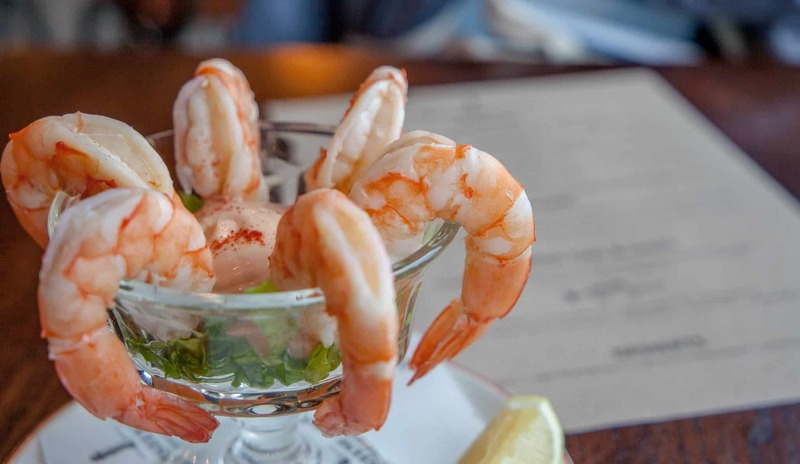 Aptly in the home of the former fish market, the restaurant takes its produce from Welch’s Fishmongers just next door and with an ex Rick Stein Head Chef, you know it’s going to be great. What’s really surprising is just how affordable the menu is, for example with fish and chips starting at just over a tenner in the sit-down restaurant, it’s not that much more than a London takeaway. 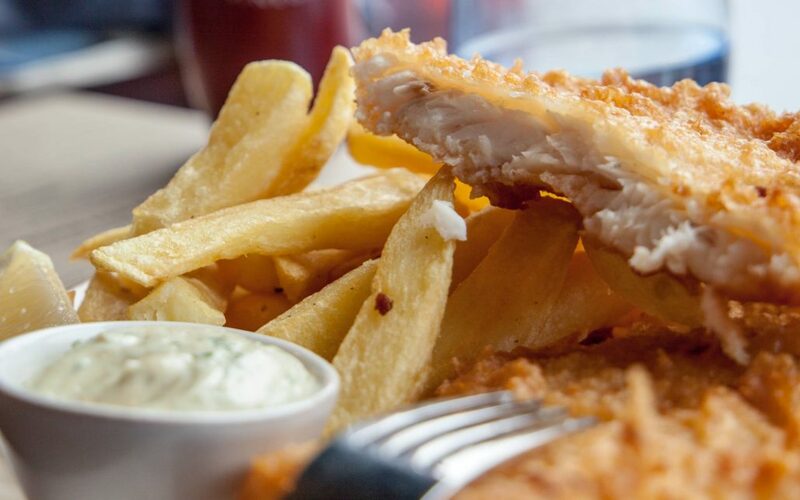 The quality and freshness of the ingredients are apparent from each bite, from the freshly shucked oysters which are only £1 apiece during the 5-6 p.m. happy hour, through to the plump prawns and the tender fillets in the lightly battered fish and chips. And that’s a wrap for your edible weekend in Edinburgh, a complete walking tour of Edinburgh with food and attractions side by side. Want to know a bit more about what to do in the city? Here is a list of attractions and day trips from Edinburgh, or if you are touring the country you might want to check out my must-visit places in Scotland. Lastly, if you’re heading to Edinburgh during August be aware there are five festivals on, and the city has an entirely different vibe. You can read my guide to August in Edinburgh here. Wishing you a bonnie trip to the stunning capital of Scotland! * I teamed up with #UncoverEdinburgh to produce this content. All venues visited and content is of my own choice and opinion. Edinburgh is my favourite city by far. I’ve lived there for three years and I have been back many times and I’m happy to say you mention a lot of restaurants I’ve never been. Can’t wait to visit again to check them out!